The Travis Agility Group is a non-profit 501 C 3 training club offering classes at all levels. "The Travis Agility Group is a non-profit organization that was formed to promote the sport of dog agility in the Austin/Central Texas area. We believe in using positive motivation to train our dogs, give our dogs more confidence, and create a stronger bond with us." ​Students who have gone through the entire 'Foundations to Agility' series are eligible to become members of the club. People and their dogs who are experienced handlers, usually already competing, are also welcome to apply for membership after recieving an evaluation from one of our instructors (to determine which advanced class best matches their skill level). As a club, we also hold several fun events for our members, like Holiday parties, Summer socials (seen above at Action Pack) and Happy hours at the nearby 'Dog Park and Drinkery'. ​As a member of the Texas agility community, TAG also hosts three trials every year. We host two USDAA sanctioned agility trials and a NADAC sanctioned agility trial in June. ​Each TAG member works very hard to make each trial as fun and efficient as possible. Every group conducts their trials a little differently. Here are the TAG Trial Positions that we have found helpful in running our trials. 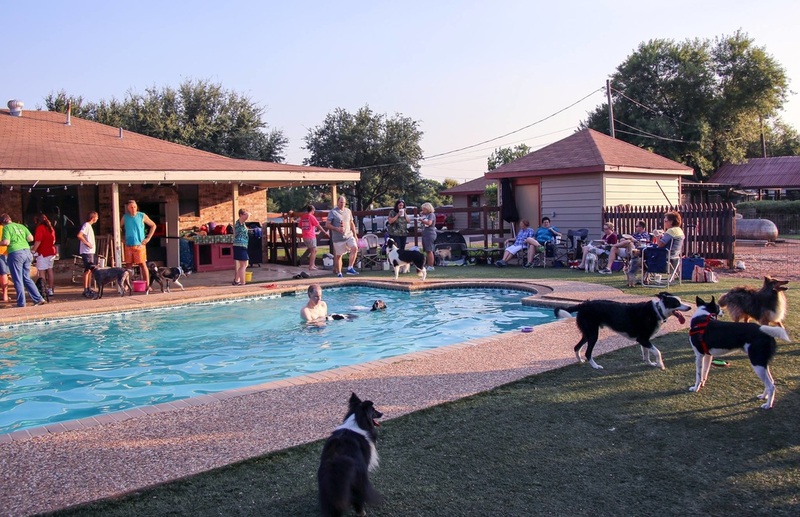 The Travis Agility Group was founded in 1996 by a small group of agility enthusiasts determined to grow the sport of dog agility to Central Texas. Since then, we have hosted hundreds of dog agility trials and have graudated hundreds of students who have fun with their dogs, and if they choose, to compete. ​Because our club also sponsors 'shelter dogs' through each 'Foundations to Agility' class, we are also responsible for helping to find forever homes for dozens of dogs from Texas Humane Heroes over the years. We also hold several fundraisers for and regularly financially support Texas Humane Heroes.